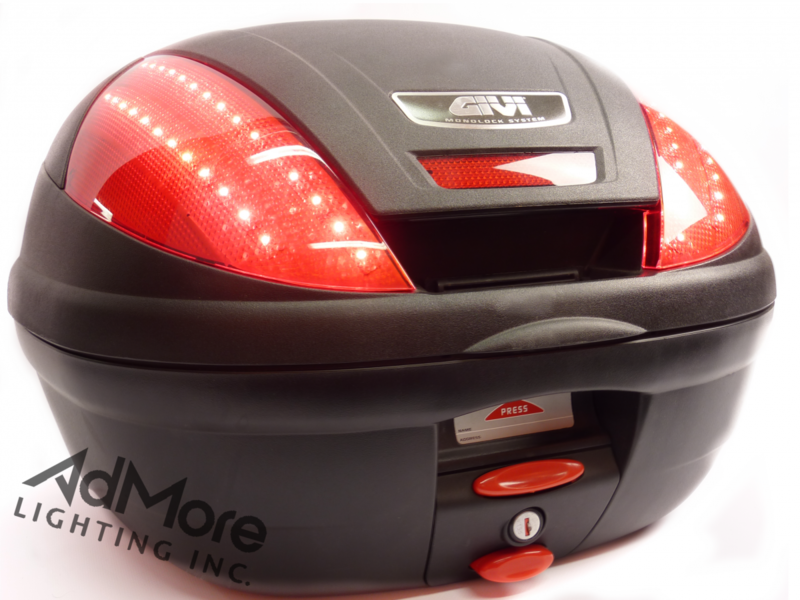 E370 TOP CASE - LED KIT (TS) - AdMore Lighting Inc. 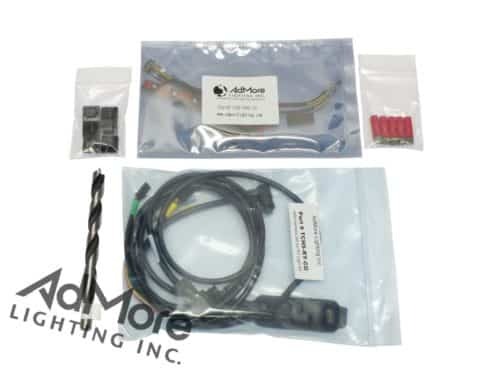 The AdMore Light Kit for the E370 top case. 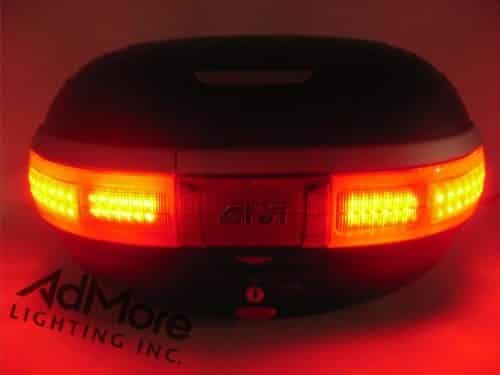 The AdMore LED370-T-TS Light Kit significantly increases your visibility on the road by providing brake light, tail light and turn signal functionality to your E370 top case. 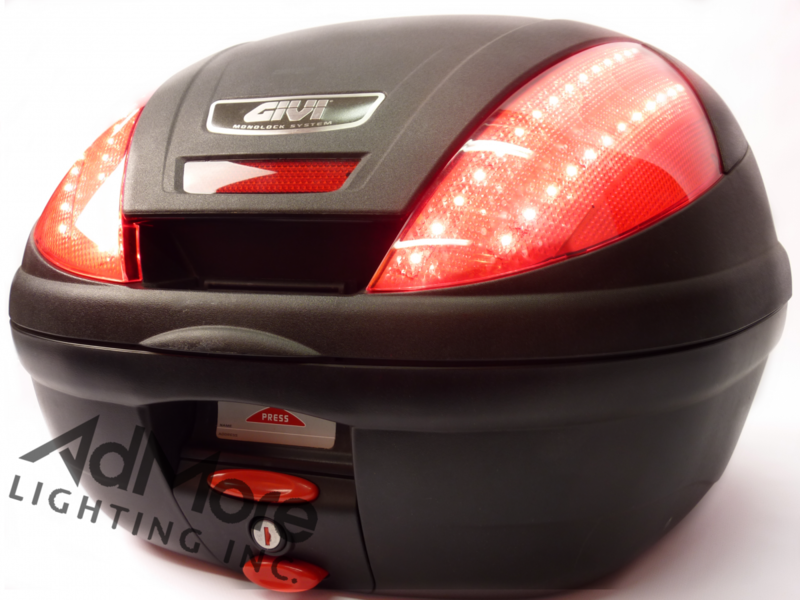 The LED370-T-TS light kit has been custom designed to fit the GIVI E370 top case. 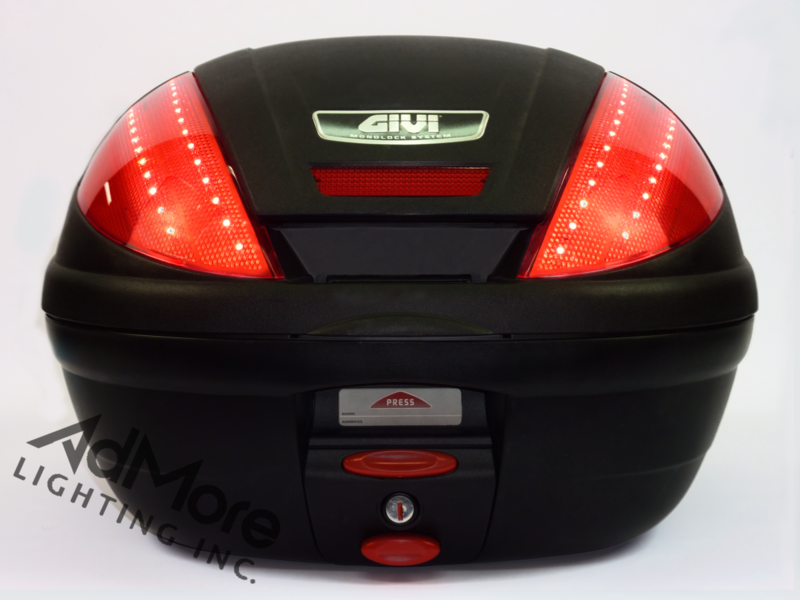 The LED370-T-TS light kit has been custom designed to fit the GIVI E370 top case. 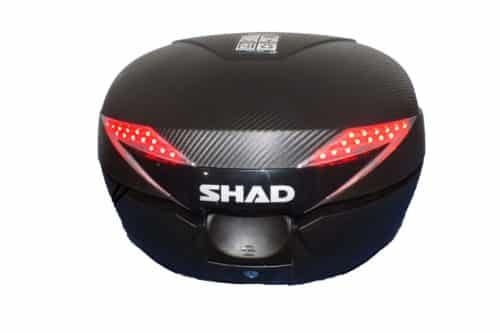 Each kit contains two high intensity LED light panels that fit perfectly behind the lenses of the E370 case to give you and your bike great wrap-around visibility! 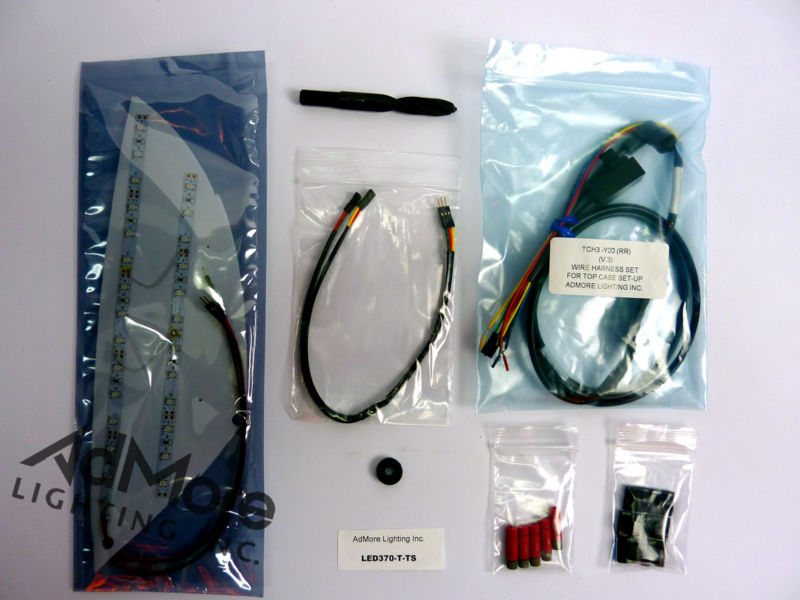 I think your kit for the E370 case is great! 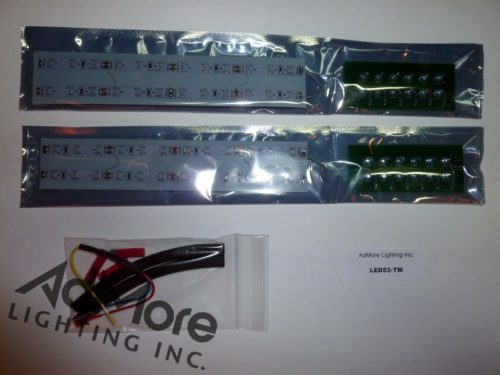 I know I’ve made a sale and one potential already for your product. 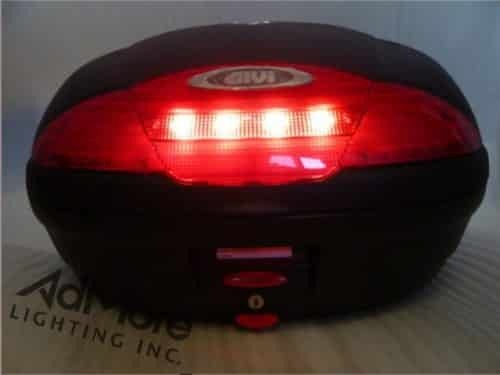 My friends and their friends who are regular commuters on motorcycles and who have givi cases are very interested in seeing my bike with these lights. 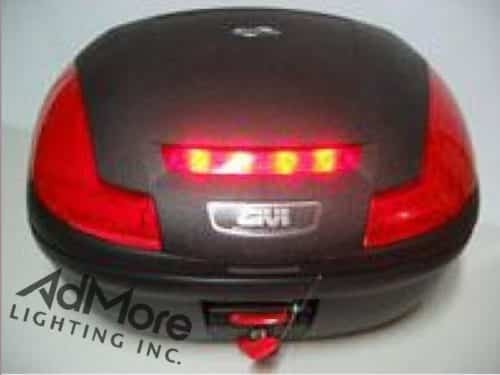 Next time I ride up to Portsmouth, NH’s bike parking area, I’m sure I’ll get a lot of interest.